Resurrectionists. The name is a cruel joke, amusing only to the twisted minds of murderers and graverobbers who claim it as their own. Resurrectionists reanimate the dead, but their magic results not in a body that has been restored to life, but rather one that has been brought back as an undead puppet. Their practices are particularly appalling to the people of Malifaux, who consider the Resurrectionists to be one of Malifaux's greatest threats. That some of the most terrible monsters this world knows were once their former friends and family is a grim realization. Humanity has a long tradition of honoring their dead. In Malifaux, the fact that Soulstones recharge in the presence of death presents difficult existential and religious questions, but the Resurrectionists are blatant in their desecration of human life. The reanimated dead serve only the selfish, unconscionable goals of these foul necromancers. The Governor General's crusade against the necromancy of the Resurrectionists has overwhelming public support. His own personal staff suffered a grisly attack days after he won his position. In later weeks, the missing members of his cabinet were identified in a series of robberies, kidnappings, and murders. It was only after an extensive investigation that the Guild realized that the bodies of the Governor General's staff had been brought back by an unidentified Resurrectionist. With that discovery, a special taskforce, the Death Marshals, were organized to combat the Resurrectionist threat. Their methods lack subtlety, but they have developed a sophisticated profile they use to identify and apprehend their targets. A Resurrectionist is often a single individual working alone or with one or two loyal assistants. Due to the gruesome nature of the work, these necromancers are forced to ply their trade in secret. Each one comes upon their craft through individual study, whether through science, magic, or some otherworldly pact. The practice of necromancy fosters creative resourcefulness as fresh corpses and strict privacy are continuously in short supply. 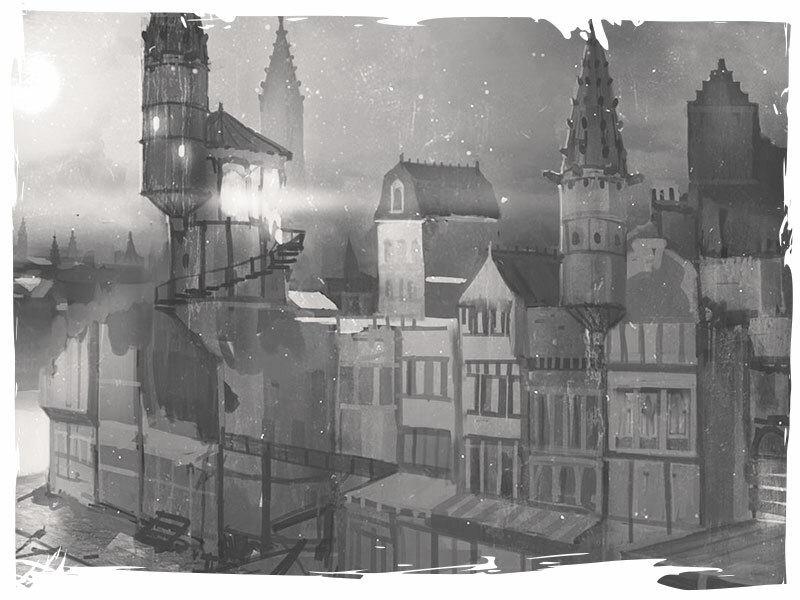 The Governor's witch-hunt has forced many Resurrectionists into the abandoned Quarantine Zones of Malifaux City. There, these grim necromancers fortify the city's abandoned districts and populate them with shambling undead militias to fight off rival Resurrectionists and the occasional Neverborn attacker. The Death Marshals have attempted to raid these outposts with moderate success and chilling discoveries. Despite the obvious individualism inherent in these criminals and their methods, curiously similar sigils, devices, and journal entries suggest at least some amount of shared knowledge. The Governor has also discovered that by pushing Resurrectionists into the Quarantine Zone, they have unwittingly encouraged the looting of these areas. Necromancer strongholds are often filled with artifacts collected from the haunted streets of Malifaux. Of particular note are the large libraries maintained by these graverobbers, many of which are filled with books salvaged from ruins of Malifaux's past. While only a few of these libraries have been seized intact, the texts suggest a dark patron, a spirit tutoring others in the necromantic arts, communicating subtly through the mysteries of science and magic. These texts and artifacts seem to be the source of the shared techniques common amongst these criminals. While many of those aware of these texts believe this patron to be simple metaphor, the Death Marshals have begun to suspect that this grave spirit is real. When one considers the armies of the undead marshaled in vaulted hideaways of their masters and roaming the twisting passages of the sewers, it's difficult to shake the feeling that these Resurrectionists might be the unwitting lieutenants of some unknown spiritual entity. The Resurrectionists are a sturdy faction that relies on recursion and durability to carry it through a fight. There is almost no ranged combat among their undead ranks, so they often have to close to melee range to kill things. On the plus side, they tend to make good use of the corpse markers dropped by Living or Undead models, and some Resurrectionists can transform these corpses into useful effects or even new Undead. The Resurrectionists also have access to a number of incorporeal Spirits, allowing them to send models right through walls to get where they need to be, and a Poison theme, with many, many models that can hand out the Poison Condition on a successful attack. The Resurrectionists primarily deal in Undead models, though a number of their zombies have been augmented enough that they also count as Constructs. Their minions tend to deal the bulk of the damage that Resurrectionists put out, with most of their Masters and Henchmen falling into more of a support role. Click on an image below to find out more about some of the models available to the Resurrectionists!